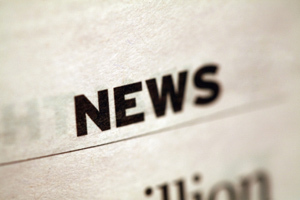 NOTE: Monday, August 15 is the deadline to sign up for aerial application of cover crops. Newark, Ohio, June 24, 2016 -- Licking County Soil & Water Conservation District is offering a cover crop aerial planting opportunity. Aerial application is an option for establishing a cover crop after soybeans. 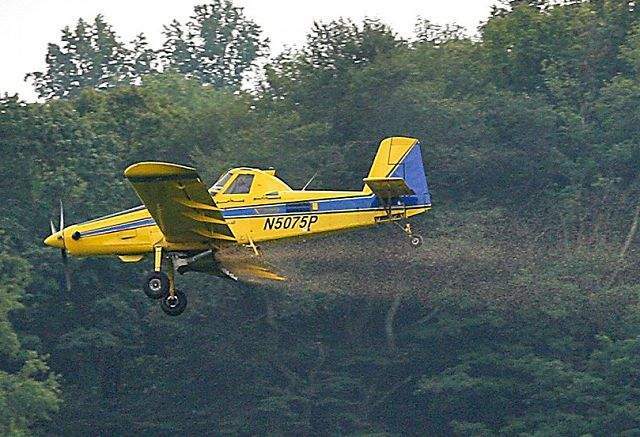 Using an airplane to fly on cover crop seed, before soybeans are harvested, gives the seed time to germinate and establish itself while the soybeans dry in the field. Long-term use of cover crops can increase yields and reduce fertilizer inputs. “Cover crops are great because they reduce soil erosion, hold nutrients and put more organic matter into the soil,” said Dave Felumlee, a Madison Township farmer and user of cover crops. Cover crops also help address soil needs such as fixing nitrogen, reducing compaction and managing soil moisture. Producers should contact Armfelt at 740-670-5330, for pricing and details. Licking Soil & Water promotes conservation of natural resources through local leadership, education and technical assistance. 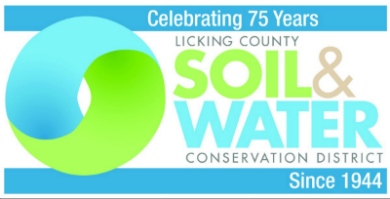 For more information or to schedule an interview, contact Denise Natoli Brooks, Licking County Soil & Water Conservation District, 740-670-5330, denisebrooks@lickingswcd.com.